For some reason my Christmas Tree photos only go back four years. Could have something to do with a hard drive crashing and 'no backup' of the photos. 2007, 2008, 2009 and 2010. Had help from DGS each of those years. You can see a few window decorations in the 4th frame, thanks to the same young person. and take a peek at the huge tree my sister's kids hauled in last Christmas (scroll down her post to see). I take a picture of our tree every year too. It's fun to watch it evolve. 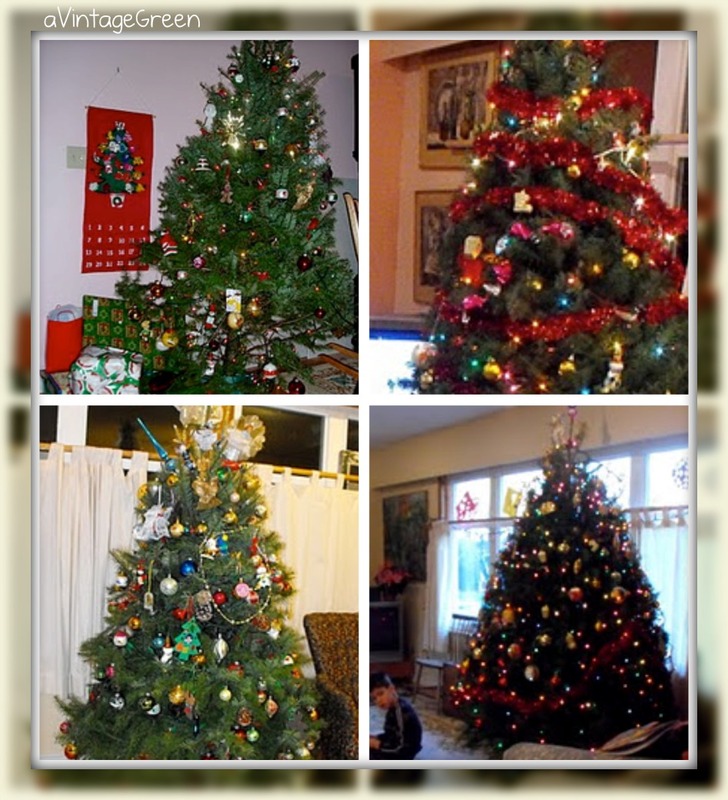 We have an artificial tree and it's still different every year and yet warmed by the same feelings and traditions. Thanks for sharing your sweet trees!